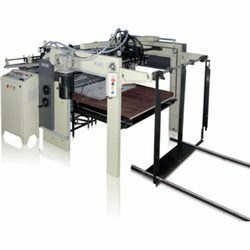 We have marked a distinct and dynamic position in the market by providing a high-quality array of Automatic Sheet Feeder. Attached Finisher Can Run At Up To: 15,000 sheets/hour. Xerox exclusive, C.P. Bourg Dual-Mode Sheet Feeder. This unit has been designed to feed, either with continuous sheet or slabs. • Sandwich type feeding Conveyor Belt. • Heavy duty hardened roll.